Press junket interview with Molly Shannon, Toni Collette, Bridget Everett, and Katie Aselton to promote the release of "Fun Mom Dinner" in the United States. Television spot for the Channel9 miniseries "Blue Murder: Killer Cop", starring Richard Roxburth and Toni Collette. 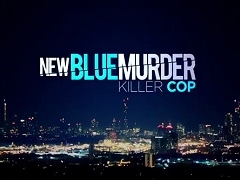 Television trailer for the Channel9 miniseries "Blue Murder: Killer Cop", starring Richard Roxburth and Toni Collette. Finding common ground in a karaoke bar, the moms (Katie Aselton, Toni Collette, Molly Shannon and Bridget Everett) hit the stage with Nena's 1980s hit "99 Luftballons". The moms (Katie Aselton, Toni Collette, Bridget Everett, Molly Shannon) swoon over their teenage hearthrobs until a bartender (Adam Levine) joins in. Melanie (Bridget Everett) and Kate (Toni Collette) flex their muscles when it comes to using your phone while driving. 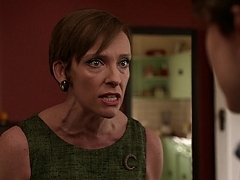 Ruth (Toni Collette) tearfully opens up to Charlie (Levi Miller) that she is going to leave him and his father for another man. When Charlie (Levi Miller) is brought home by the police, his mother (Toni Collette) is loosing it over his father's calm reaction. Charlie (Levi Miller) is berated by his mother (Toni Collette) for straying away after school and finds out the reason behind his parent's concern. 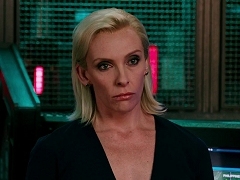 Agent Marke (Toni Collette) is less than excited to work with Xander's (Vin Diesel) chosen group of people. The assigned special forces team and Xander (Vin Diesel) don't get along too well. Xander (Vin Diesel) is surprised to find Agent Marke (Toni Collette) responsible for his latest shootout. Teaser trailer for the Channel9 miniseries "Blue Murder: Killer Cop", starring Richard Roxburth and Toni Collette. Katie Aselton and Toni Collette are interviewed on the set of "Fun Mom Dinner". 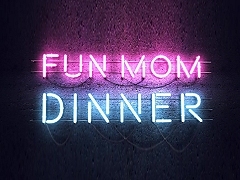 Theatrical trailer for "Fun Mom Dinner", directed by Alethea Jones and starring Katie Aselton, Toni Collette, Bridget Everett and Molly Shannon. 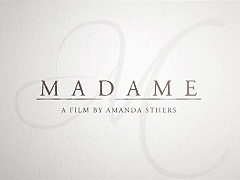 Australian theatrical trailer for "Madame", directed by Amanda Sthers and starring Toni Collette, Harvey Keitel and Rossy de Palma. Bob Hunter, the CIA's Director of European Operations (John Malkovich) clashes with Emily Knowles (Toni Collette) of the MI5. Theatrical trailer for "Unlocked", directed by Michael Apted and starring Noomi Rapace, Orlando Bloom, Michael Douglas, John Malkovich and Toni Collette.